It is a rare day in the 21st century when a “lost’ rock album pops up out of nowhere, unheard of up until that point. Sure, some eye opening lost tracks can pop up here and there (see the recent Led Zeppelin reissues), but it is fairly unheard of for a whole album to come to the attention of the world with no notice. 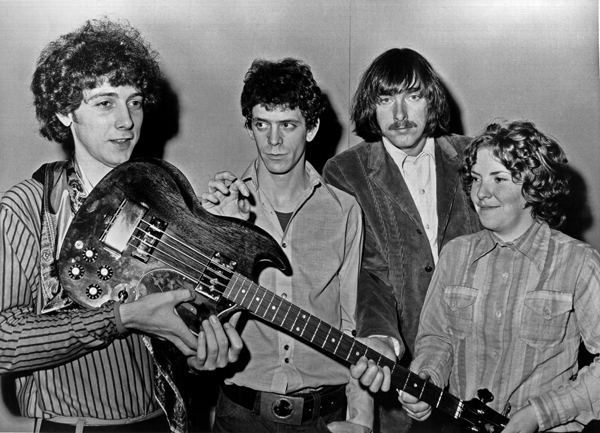 Even more remarkably, it is even rarer for a band as heavily chronicled as the Velvet Underground. The story of this album defies credulity, but is heavily documented as true. 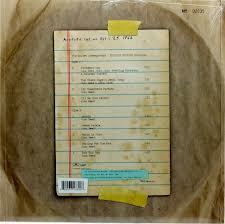 The basic facts: In 2002 a record collector found an acetate pressing at a Chelsea garage flea market in New York City. He purchased it for 75 cents. Getting it home, the buyer realized he had found something quite unprecedented. It was a copy of the first Velvet Underground album, yet not. Marked as Scepter Studios Sessions, 4-25-66, it predated the recording of their debut album by a month. 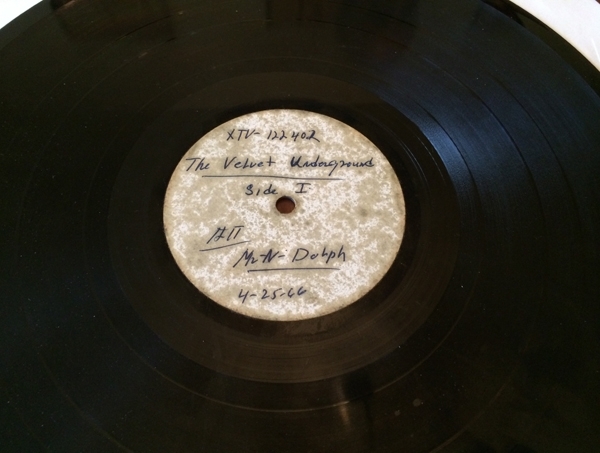 What was contained within was a session recorded as a test pressing by engineer Norman Dolph at Scepter Studios in New York at Andy Warhol’s behest(reportedly paying with a painting). Warhol wanted a clear demonstration of what his new charges were capable of in the sonic mayhem category. (Also perhaps to let prospective labels know what they were in for by signing this distinctly non-hippie methedrine soaked proto punk collective). The band were rejected by Atlantic, Columbia and Elektra before the small independent label Verve picked it up. 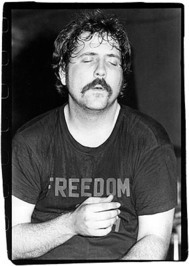 Verve were also the home for the west coast miscreants, the equally uncommercial Mothers of Invention since early 1966. The acetate languished for a while. Acetates are not like the average test pressing. They are notoriously fragile, and are only good for 20 or so playings before they begin to deteriorate. So there is a short window to decide if one has found a treasure or not. A quick playing ensured the buyer and friends that this was a unique piece of rock history. So he did what most Americans of the 21st century would do-he put it on eBay. Initial auction bids ran up to and over a startling $150,000, but cooler heads prevailed and it was relisted after none of the bidders showed up to pay (wine induced drunk eBaying at its finest). It finally sold in 2006 for a still extravagant $25,200. 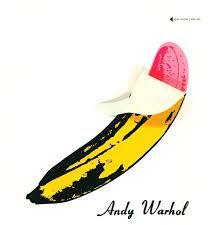 But getting back to the tale, this Velvets album was markedly different that the debut ‘banana cover’ version. Four of the nine tracks are different versions: (I’m) Waiting for the Man, Venus in Furs, All Tomorrow’s Parties and European Son are completely different takes. The other five songs are different mixes, some with differing vocal takes than on the final album, but much of the instrumental background is either identical or a different mix of the same take. European Son is worth the price of admission alone. It bristles with amphetamine anarchy and careens out of control nicely, and at 9:02 has an extra 1:15 of sonic guitar destruction. There is a crispness and spaciousness to the spartan mix on the whole album that strips some of the production away from its denser final version. A very high fidelity and appealing snapshot of the early 1966 peak of the Nico version of the band is what is contained in the nine tracks. Universal Records did a fantastic job once they had their hands on it in cleaning it up. Skips, pops and some areas of general acetate degradation were slickly removed, giving this album a very high quality sound. Although somewhat known on the bootleg scene, not many had any inkling of this albums existence when it was quietly released on Record Store Day in November 2012. 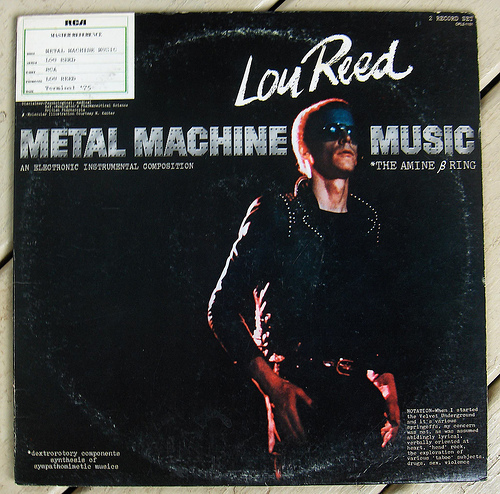 It was released in a replica of the acetate’s original sleeve, and in a vinyl only format. 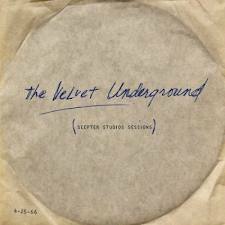 Many at the time assumed it was yet another cash in of Velvets material. Many lo fi cassette bootlegs had come out in the past 20 years and been presented as expensive archival CD box sets, so folks assumed it was yet more unlistenable outtakes saved by some fan. This had flown under my radar, and I thought it was more dross for the cash cow to feed on. But thank god the guy that bought this sucker for 75 cents had the wisdom to get it out there for us to appreciate, and not hoard it for his own, never to be seen again. Any Velvet Underground fan that does not have this needs to run out immediately, acquire a turntable, and put this into heavy rotation. You will find it might stay on your turntable for a while.